(MoneyWatch) German Chancellor Angela Merkel's support of European Union efforts to bail out distressed countries in the region could cost her her job. 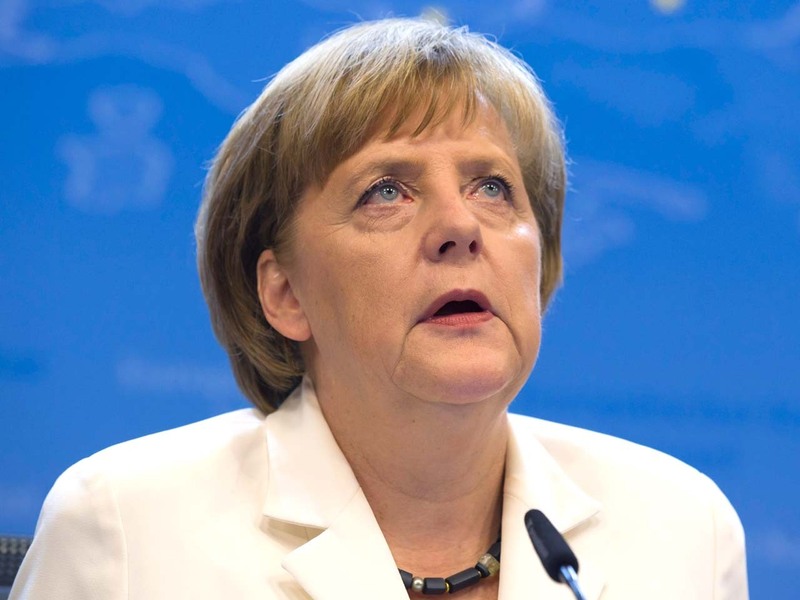 Public support in Germany for Merkel's handling of the debt crisis has fallen 50 percent in just three weeks. This sudden evaporation in confidence in her leadership, along with the growing consensus among voters that the country would be offer off if it left the eurozone, suggests the political tide is turning against her. Only one-third of Germans believe Merkel is making the right decisions over the European debt crisis, according to a new survey conducted for the German daily Bild. Another recent poll put support for her policies at 58 percent, down significantly from last year. Such figures represent a severe setback for the chancellor, who has said she will seek a third term in Germany's federal election next year -- an election she has vowed to turn into a referendum on the future of Europe. What could happen to the U.S. if Spain defaults? Is the EU ready to end Greece's bailout? Merkel has taken a tough stance on how to deal with the "contagion" afflicting the eurozone , demanding tough budget cuts by governments seeking aid. Although this won her hostility in many countries in Europe, especially those hit hard by such "austerity" policies, it boosted her popularity at home, where most people are unhappy over having to foot the bill for bailing out nations like Greece, Ireland, and Portugal. Since July 6, however, the EU's situation has worsened, with Spain seeming to teeter almost daily between solvency and possible default. As fears mounted that the debt crisis was reaching a dangerous new phase, Merkel appeared last weak to soften her opposition to a European Central Bank plan to buy Spanish and Italian government bonds in order to keep their borrowing rates in check. Merkel's shift is unlikely to go over well in Germany. A separate poll released Monday shows that 51 percent of Germans believed the nation would be better exiting the 17-country eurozone, with only 29 percent thinking it would be worse off. This is the first time since the currency was adopted in 2002 that a majority of Germans has favored leaving the monetary union. Constantine von Hoffman is a freelance writer and writing coach. His work has appeared in outlets such as Harvard Business Review, NPR, Sierra magazine, Brandweek, CIO, The Boston Herald, TheStreet.com, CSO, and Boston Magazine.